Footage revealed on Wednesday by Chinese state media revealed what may be the earliest ever fatality in a Tesla car using the autopilot function. A dashcam video recorded the Model S slamming full speed into the back of a road sweeping vehicle on an expressway 450 kilometers south of Beijing. 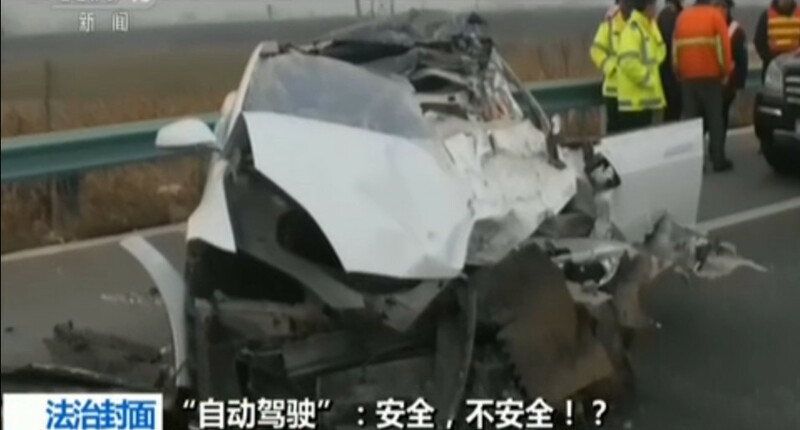 The collision occurred on January 20th this year, killing the 23 year old driver Gao Yaning immediately. If autopilot was in part responsible for the tragedy, this would mean that first autopilot fatality took place in China, 4 months before the deadly Tesla Model S wreck in Florida on May 7 this year, which until now was believed to be the first driver death related to Tesla’s autonomous driver assist system. The video was not made public at the time of the accident as the family lacked evidence that autopilot was functioning up until the crash. The electric car was reduced to scrap metal, destroying the logs which are necessary to determine whether autopilot was on. 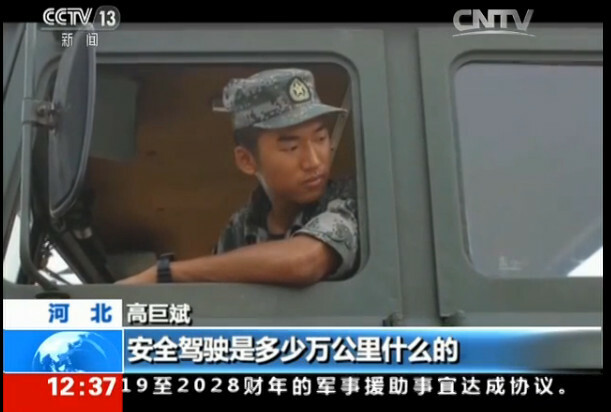 Gao Yaning’s grieved father refuses to believe that his son, who had been driving for more than 5 years and had a perfect record driving heavy trucks during military service, could crash into a vehicle that had been in full view for more than 10 seconds without even an attempt to brake or dodge. He consulted various experts and other Tesla drivers, all of whom agreed that car appeared to be using cruise control. The footage showed that Gao’s car drove at a constant speed and remained at a fixed distance from the road line for nine minutes. One minute before the crash, Gao hummed a few lines from a song. His father recalled that Gao Yaning was enthusiastic about Tesla’s autonomous driver assist function, and showed phone videos of his son demonstrating the cars’s autopilot function. The family of the deceased is pressing charges against their Tesla dealer for misleading users, and is demanding 10 thousand yuan ($1500 USD) in compensation. Their lawyer says that the amount is irrelevant, but they hope to warn the public that autopilot is still an immature technology that should be tried with discretion. “We want to remind Tesla to be more prudent in their marketing terminology, and not to make autopilot a selling point appealing to younger users. Tesla repeatedly tries to impress upon users that they need to trust autopilot, but meanwhile, the fine print in their manual they say you have to keep your hands on the steering wheel, this is self contradictory”, said Gao’s lawyer Wang Beibei. Last month, on August 2nd, Tesla changed the “autopilot” function on their Chinese official website to read “autopilot automatic driver assist system”, following the first related accident in China. Tesla claims that like the autopilot function on aircrafts, autopilot can be used to assist drivers under certain conditions. However, the driver must have both hands on the wheel and maintain control over the vehicle. This is not specified under the description of the autopilot function on Tesla’s Chinese site.